Thanks for making it this far. I really appreciate you checking out my work. I hope you’ve enjoyed looking through my website. 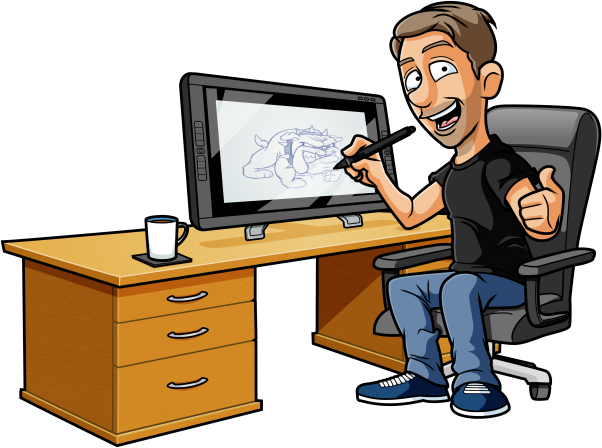 I’m a 32 y/o freelance cartoonist who is based in Essex, UK. I turned professional in 2006 when I decided to go freelance and was rewarded with my first paying client. I use a Wacom Cintiq for my artwork. I use it for the sketching and digitizing process. Though I’m equally adept at sketching by the traditional method of pencil and paper. Software I use includes Adobe Photoshop, Illustrator, Sketchbook Pro, and a few older ones. I’m also quite into animating, but my success as a freelance illustrator in recent years has built a lack of exercise in this particular form. Unfortunately I don’t offer animation as a service just yet. Generally, I prefer email. But you can contact me on many other mediums such as telephone & social media. Please see my contact page. I strongly believe that giving a great service is as important, if not more important than the artwork itself. I make it my mission to ensure each of my clients feels as if they are my ‘million dollar client’. No matter the size of the project. I strongly feel it’s very important to be honest, trustworthy, reliable and transparent. I strive to devote the best service I possibly can at all times. In some cases my clients have even become my friends over the years. Whilst being busy freelancing, I’ve also been working on many projects of my own. I’m currently working on tutorials aimed at helping people of all ages who are wanting to learn about drawing cartoons. 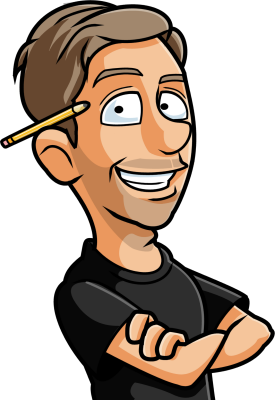 You can find these ‘how to draw cartoons’ tutorials over at the Toonjam Studios website. 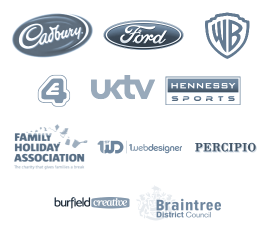 Here are just an extremely small selection of the clients I’ve worked with in the past 12 years..
I’m not someone who can settle for my current skill level. I’m constantly looking to improve my artwork on all fronts. On top of that, I regularly attend business seminars and conferences in order to upgrade my business skills. I’ve been trading as limited liability company since January 2011. This company is called Toonjam Studios Ltd. I love doing freelance illustration, but I’d love to venture into animation quite soon. I find working on tutorials very rewarding, so I’ll most likely focus on this quite a bit in the coming years too. Contact me here to hire me for your business/ project.